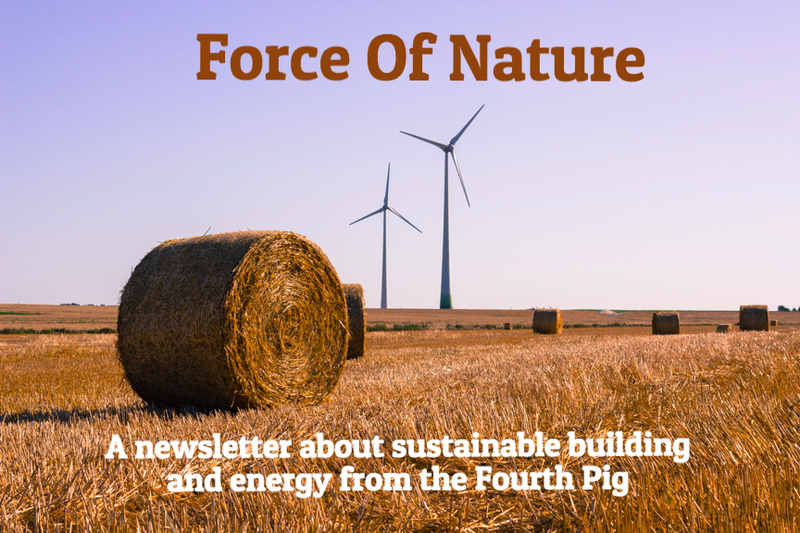 New "Force of Nature" brings good news in green building and renewable energy. About once a month we put a free newsletter out highlighting news in green building and sustainable energy. In this edition we have a few pieces of good news and all of interesting, check it out!. Yes, we have some good news this month! Canada got its first certified Living Building Challenge building, California is ahead of schedule on reducing greenhouse gases, and Canadian students are competing in the Solar Decathlon. We also have news on doors (not the band), and a data-hungry green building at Harvard. Plus, if you are in Toronto this September check out the event "How Buildings Can (Help) Save the World". Certification from the Living Building Challenge requires at least one year of data from occupancy demonstrating performance across a number of areas including including energy, water use and more. The goal is that Living Building Challenge buildings "give more than they take". See video below for a look at the building! They may not light your fire but higher performance doors are making a difference. As Construction Canada observed "Regardless of location, air leakage and air exchange are two of the biggest issues facing architects, designers, and facility managers when it comes to specifying commercial rolling doors for conditioned warehouse spaces across the country." New high performance doors, with better insulation, seals and opening/closing speeds, can have a real affect on the energy efficiency of buildings. Construction Canada reports that "Some rolling doors can decrease air infiltration by as much as 95 per cent, and manufacturers estimate savings of up to $1215 per door with a two-year return on investment (ROI) when selecting an energy efficient rolling door for the appropriate climate zone." Rock on. It's not news that most news on global warming is bad news. 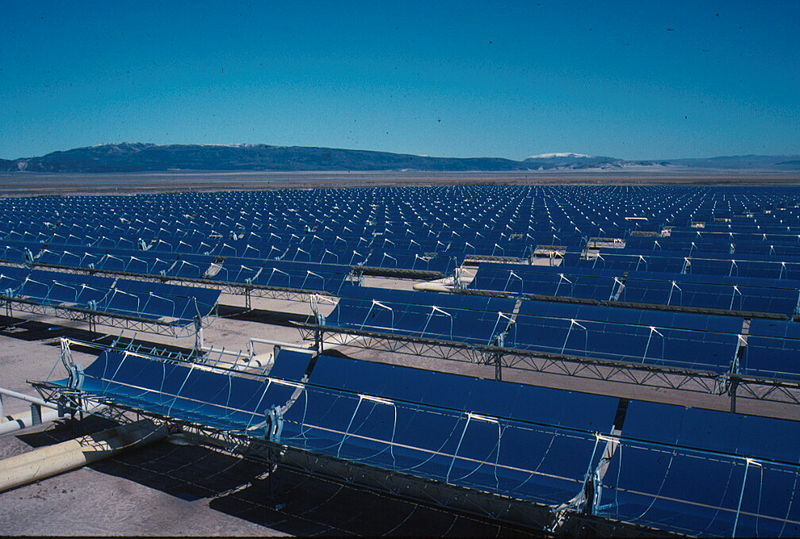 California though is offering up a bit of something to cheer; data released this month shows that the state hit its Greenhouse Gas Emission targets for 2020 in 2016. Environmental Defense shared that "This was the fourth year in a row of emissions reductions in California, where emissions dropped by 3% (12 MMt CO2e) between 2015 and 2016. Emissions fell 13% (64 MMt CO2e in 2016) compared against 2004, when emissions in the state peaked." Things look up a bit! "Housezero" is a pre 1940's stick built home that Harvard University converted to the headquarters of the Centre for Green Building and Cities. Housezero, as Harvard Magazine reported, has "zero carbon emissions, zero electricity required from the grid, zero electric lighting needed during daylight hours, and zero fossil-fuel-driven heating and cooling." It also is collecting 17 million data points a day run and test the building. "The data flow from two types of sensors. 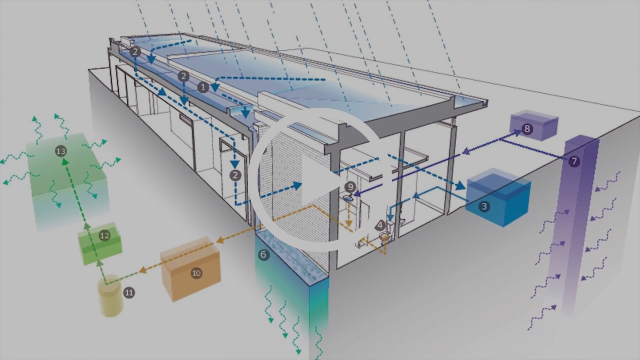 Some are critical to the operation of the building: for example, controlling the system of windows and shades in response to inputs about temperature, rain, wind direction, and indoor CO2 levels and air flows. Other sensors, purely observational, are intended to generate insights into optimizing the relationship between indoors and outdoors, while maximizing the health and comfort of the building’s occupants." Notably, the original plan for the building included accounting for embodied carbon but as "many tons of concrete mass were added in the floors between stories during its renovation" the embodied carbon number is likely not very favourable. Still, it will be interesting to see what data and software comes out of the research. 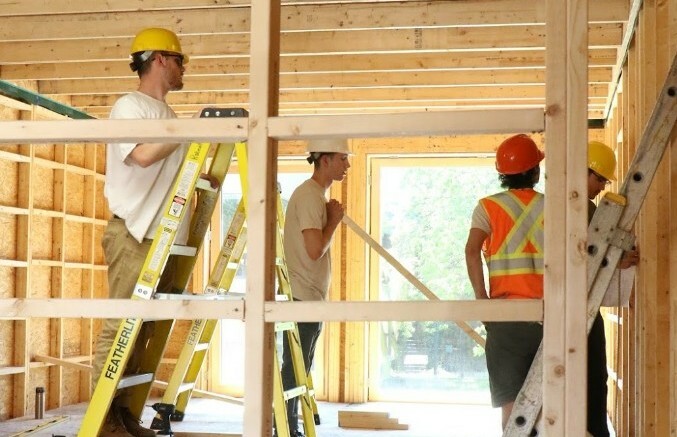 29 students and professors from Concordia and McGill are building a net zero home as part of the Solar Decathlon competition in China according to CBC. The house is targeted to use 80% less energy than a typical home and to produce enough energy from solar panels to operate the home. The home is a modular design and is inspired by Montreal row houses and traditional Chinese siheyuan courtyard architecture. Listen to a CBC radio piece on the project right here. Toronto, don't miss "How Buildings Can (Help) Save The World"
Don't miss it! 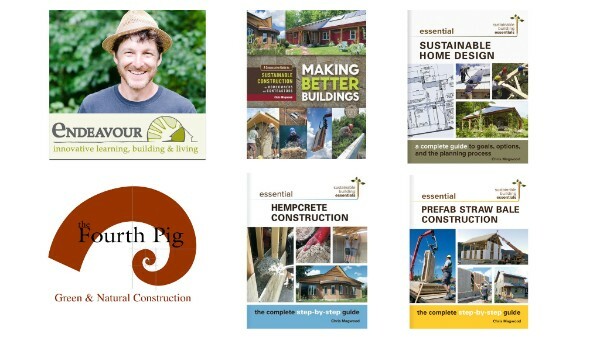 September 11 in Toronto come hear Chis Magwood in a free talk: "How Buildings Can (Help) Save The World"
This talk is part of Toronto Public Library's Civil Society series and part of the Fourth Pig's speaker series "Pig Tales". Other environmental workshops and educational opportunities include: People and Planet Calendar, the Green Building Council, Flemming College, the Endeavour Centre, the Kortright Centre for Conservation, Passive Buildings Canada, Algonquin College, and Oakanagan College.